Meet Ian Rogers and Drake Williams of the Broadway County, your quintessential, typical American kids on a ride worth of the mighty life itself. Travel through the first installment of the series through the land of Scyrin dwelled by the wise elves, diligent dwarfs and the generous men. Witness the kids confront their destiny deep in the ruins of Schweringard, facing a mortal threat larger than that for their age, for their secret friend remains the king of all- the Scarlet dragon. REVIEW- Fire Wings & Claws is first book of Fire Wings & Claws series. I received an ebook copy from Anuj Kumar in exchange for an honest and unbiased review. Book Title and Cover- Book Title is interesting and catches attention of readers. Book Cover is beautiful and hints us about the content of the book. Blurb is short and could be improved. Overall first impression of book is appropriate and catchy. Language and Narration- Language of the book is simple and without traffic of difficult books. Even naive readers will find this book easy to read. Narrating style of Mr. Damera is fruitful. Story flows beautifully altogether with decent narration. Storyline and Plot- Author serves us another fantasy series with his debut novel. First chapter is well written and builds curiosity about the story but as story continues it started losing my interest. Story flows smoothly with decent pace. 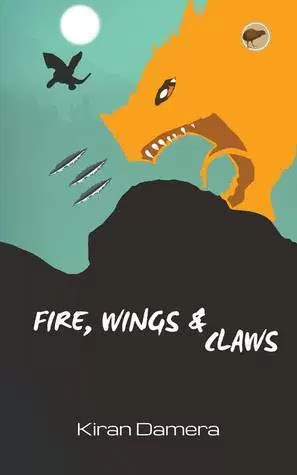 Overall Fire Wings and Claws is fantasy book written by Indian Author. If you claim to be fantasy lover, this book is for you. Also this book can be enjoyed by kids too.